Philippine Fashion Basket -Handmade Philippine fashion baskets native design made from natural components shells puka heishi beads wood raffia rattan and other indigenous Philippines materials . And especially the raffia rattan is a popular plant here in the Philippines which commonly used in basketry. Our Philippine fashion baskets are known for its flexibility, strength and durability, unique designs and a high quality standard due to its material used and it’s perfect for exporting worldwide. Philippine Baskets - Philippine fashion jewelry baskets is manufactured in Cebu City, Philippines for export worldwide. Natural made from wood beads, raffia rattan, puka heishi and many more handcrafted to create unique, usable and fashionable design. Our fashion baskets is not manufactured by machine but is it originally handmade. Philippine Baskets are part of the heritage of nearly every native people here in the country, and types of construction becomes differ as radically as other customs,generation, crafts and fashion. Shell Products - Philippine natural shell jewelry products, shell tiles, raw shells, shell components, fashion jewelry, fashion accessories, seashell supply, shell decorations, costume body jewelries and shell accessories. There are lots of designs and color to choose from. Also, you can customize your own designs, sizes, lengths, color and others. Fashion shell accessories like Philippine shell necklace, shell bracelet, shell component and shell pendant. 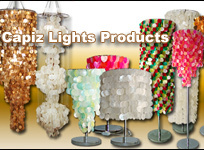 Philippine shell products are best for home, room, wall, body and hotel decorations. Natural Materials & Natural Materials & Shell Components - Philippine Baskets are known for the best quality in exporting Philippine fashion shell baskets and other handmade products made from the indigenous Philippine shells. This includes puka shells, colorful wood beads, pendants, coco indian sticks, heishie shells, raw shells, shells cut and etc. These handmade products are merely reflect the Philippines. Philippine Basket Gift Items - Philippine Fashion Baskets is perfect for picnics, coffee table substitutes, fruit picking, and as wells as Philippines jewelry storage. We also offer gift items like surfboards, phone cradles, brooches, key chains, wooden animals, jewelry boxes, miniatures, hand wood carving, wood handicraft, wood carving decoration, ethnic product decoration and more. All of these are originally made from natural sea shell and wood components. Tile decoration like shell tiles also offered.